Shipping goods in or out of Melbourne? Speak with your local Melbourne freight forwarding experts at Cargoconnect today. With over 30 years experience in the logistics industry combined with a global reach of over 80 countries, Cargoconnect are able to ensure your cargo arrives safely at its destination for the best possible price. Cargoconnect work with hundreds of freight companies to source the most competitive rates for our valued clients. Whether you’re shipping interstate or internationally, we have the network and capabilities to ensure a seamless end to end logistics experience. 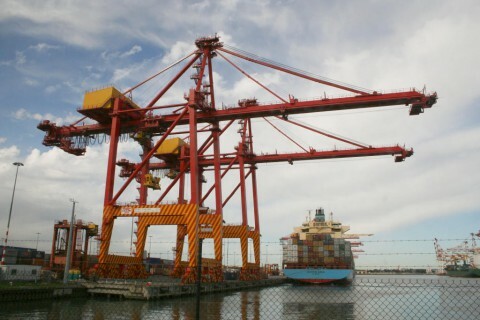 As full service freight forwarders in Melbourne, we’re offer a wide range of logistical services, including air, sea & road freight, plus warehousing, pack/unpack, cold storage and much more. Our freight forwarding services are backed up by outstanding customer support, with 24/7 AOG support available for urgent consignments. We understand the critical role your supply chain plays in your business, and work around the clock to ensure your cargo arrives when required. Contact the leading freight forwarders in Melbourne today to discuss your freight requirements.